Academic linguist Dr David Wilkins from ANU shares his reflections and experience using the Living Archive. I can’t express effusively enough how wonderful (and important) I think the Living Archive of Aboriginal Languages is. It’s been amazing to see new life breathed into materials I had thought were lost in the mists of time. I know at least one Arrernte woman who was very moved to find that some of her past work was now publicly available on the web. Moreover, I have found it to be an extremely useful research tool. The reproduction of the materials in both original (pdf) and text format has made it very amenable to comparative linguistic research through the search function. As a simple example, I used LAAL to explore uses of the “pan-Australian” exclamation /yakay/ ‘wow! ; ouch! ; hey! 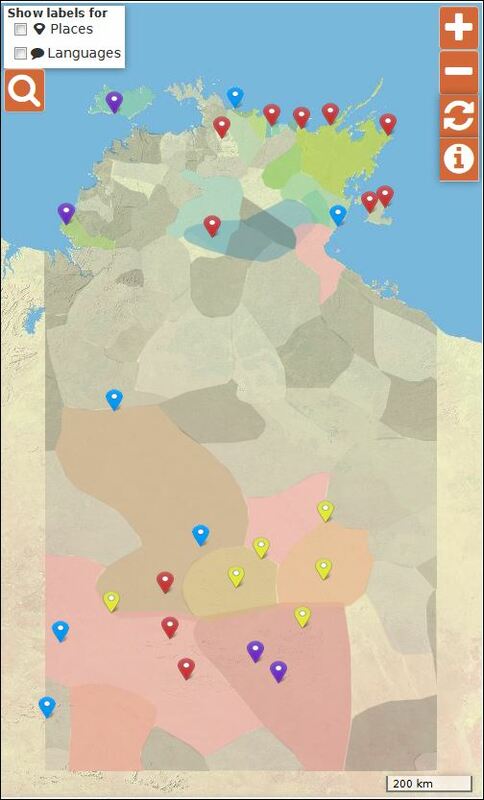 ; oh no!’ (and its variant spellings) and found data from languages as different as Anindilyakwa, Arrernte (Eastern and Western), Djambarrpuyngu, Gumatj, Murrinh-Patha, Pintupi-Luritja, Tiwi, Warlpiri and Wubuy. At least one of these languages had no entry in the available (and extensive) dictionary and grammar, but did have numerous text examples in readers that were only discoverable through LAAL. Also, where /yakay/ was recorded in a grammar or dictionary, it was commonly the case that no examples of use were given – and, once again, LAAL came to the rescue. The availability of the pdf version means we can also get a much better contextual understanding of the use of the interjection because of accompanying pictures or illustrations. Further, in several cases /yakay/ is used in a speech bubble in a picture or photo, thereby making it clear what accompanying bodily and facial expressions co-occur with the use of the exclamation. I understand this is a simple, and perhaps minor, example of how LAAL can be used, but it should suffice to indicate the archive’s rich potential. I also believe that the numerous books where the author has also illustrated their own work can provide important evidence on issues which are relevant to linguistics, social semiotics and cognitive science, since the two perspectives (linguistic and visual / pictorial) allow researchers to explore similarities and differences in how information is represented in the drawing vs. how it is represented in language. In other words, it is not just a language archive, it is a multimodal archive that demonstrates, among other things, a nice range of local artistic representational talents and choices. Finally, I applaud the attempts that have been made to expand the usefulness of materials for schools and communities through initiatives like the Living Archive’s Digital Story Competition. It was great to be able to hear and see stories that had previously only had a ‘print’ presence. It would be nice to see further similar initiatives. I only have one current suggestion for improving the usefulness of the archive – fuzzy string searching (approximate string matching). This would help both community members and researchers alike: given the variability in orthographies and spellings even in one language, it can be hard to find exactly the items one is searching for. All this is simply to say congratulations to the members of the LAAL development team. This entry was posted in Academic, User stories and tagged linguist, testimonial on May 5, 2016 by Cathy Bow.